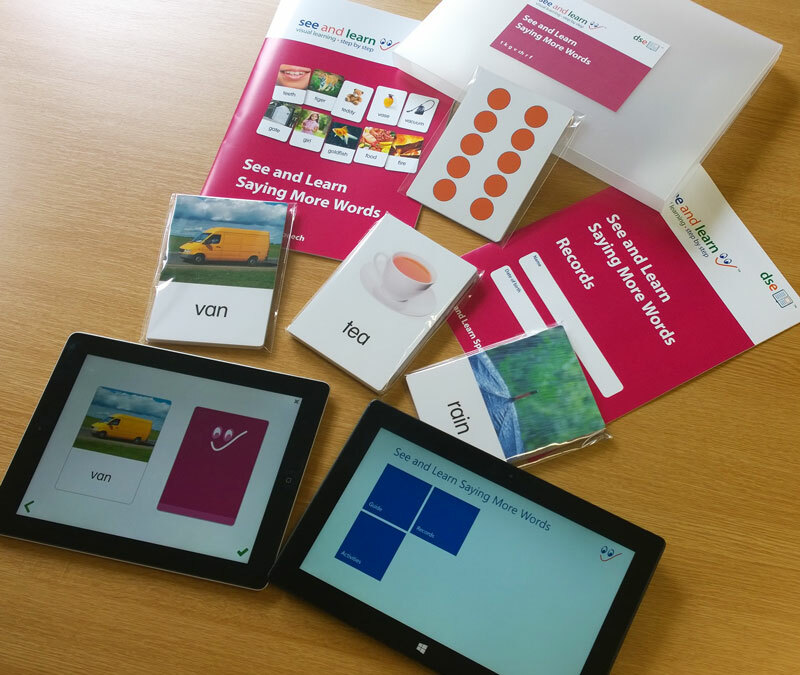 We are changing the titles of some of the steps in our See and Learn Speech and See and Learn Language and Reading programmes. This has been prompted by new limits for the lengths of titles in the Apple App Store and our wish to keep the names of our apps and printed kits aligned. These changes will be taking effect over the coming months. We are rolling out updates to our web sites over the next few days. Then, our iPad and Android apps will be updated in the next week or so. Finally, our printed kits will be updated as we reprint over the next several months. These changes only impact the titles of the steps – we are making no updates to the content of the programmes at this time. We will continue to ship printed kits with the previous names until we require new print runs. However, the contents remain the same. We are sorry for any confusion and inconvenience caused by these unavoidable changes. We are confident that keeping the names of our apps and printed kits aligned will be simpler and clearer in the future.